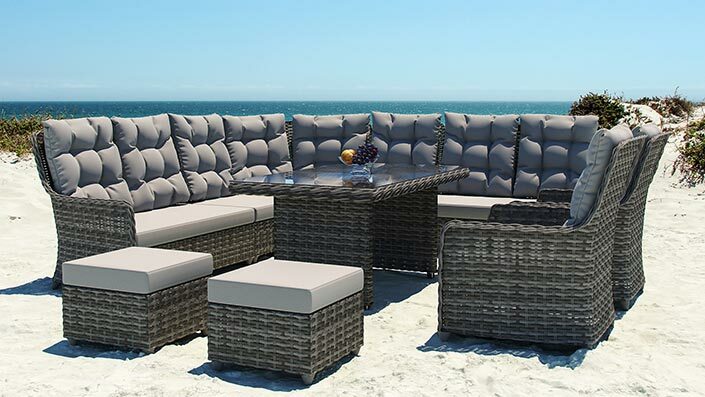 ELY L – The perfect companion for your staycation! 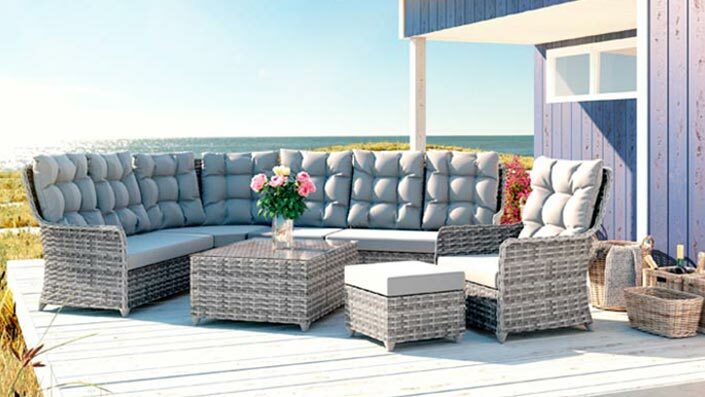 Spending your summer holiday at home this year? 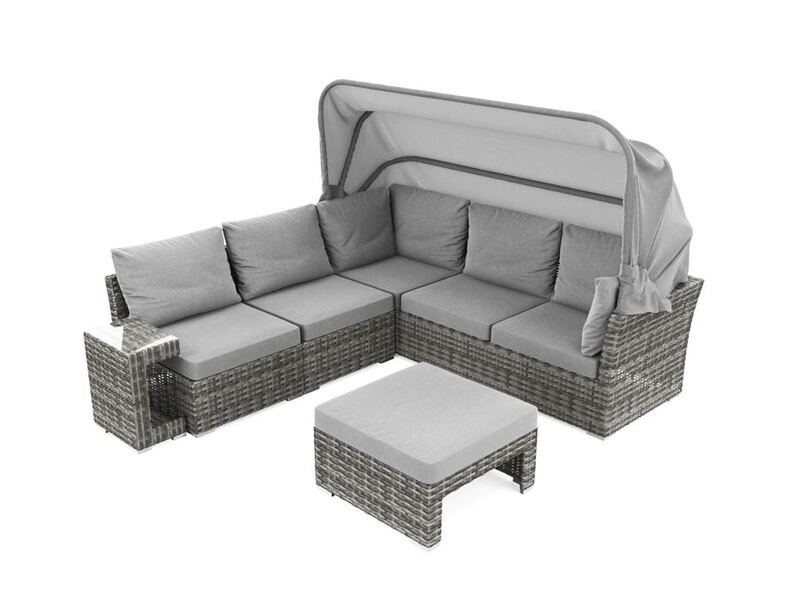 Then let ELY L provide you with that special holiday feeling in the comfort of your own garden. 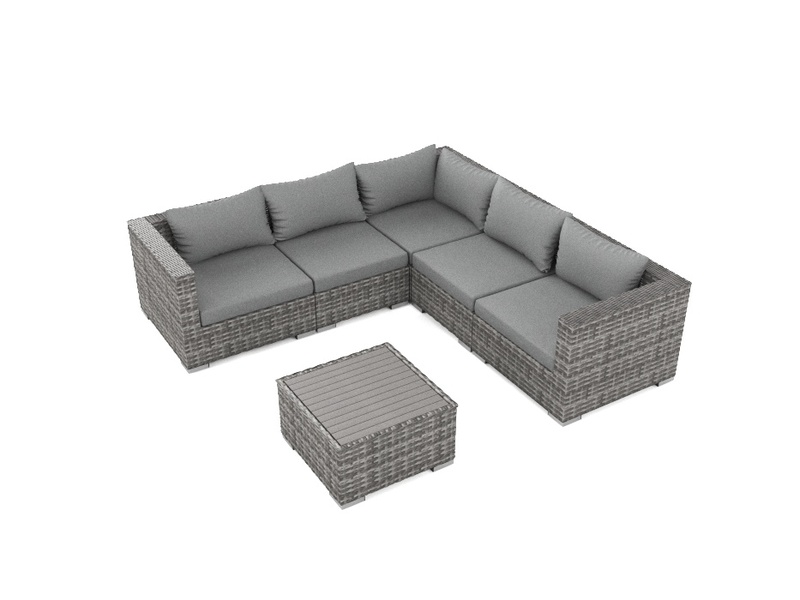 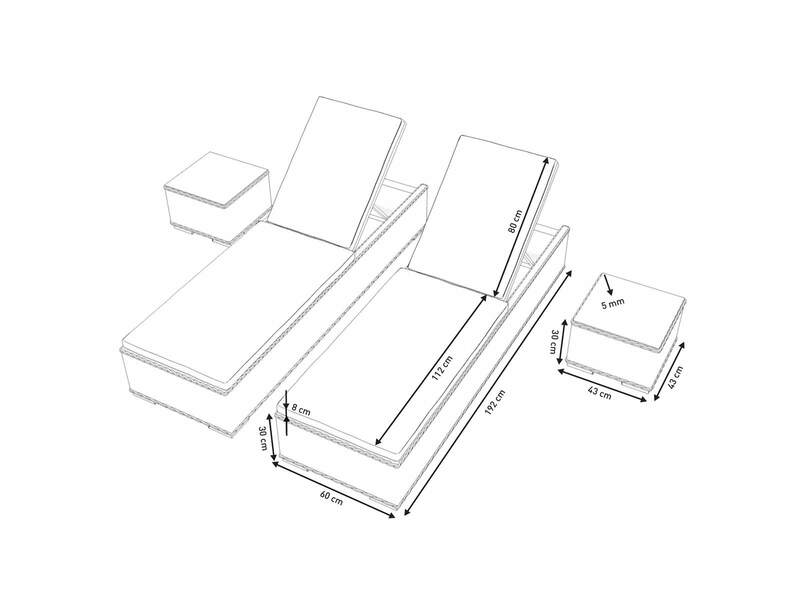 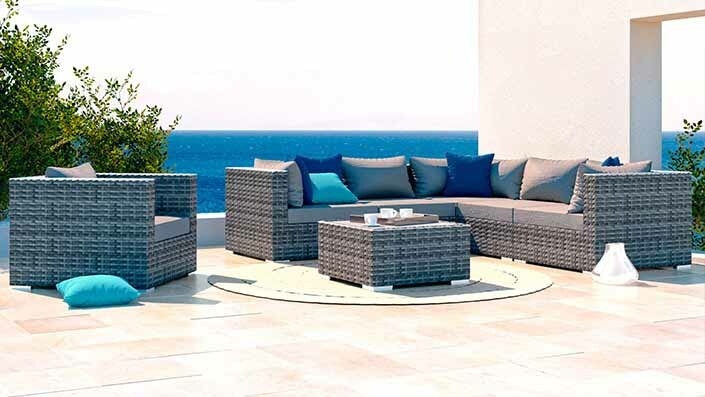 The set consists of 2 sun loungers and 2 side tables from our OCEAN LINE rattan range. 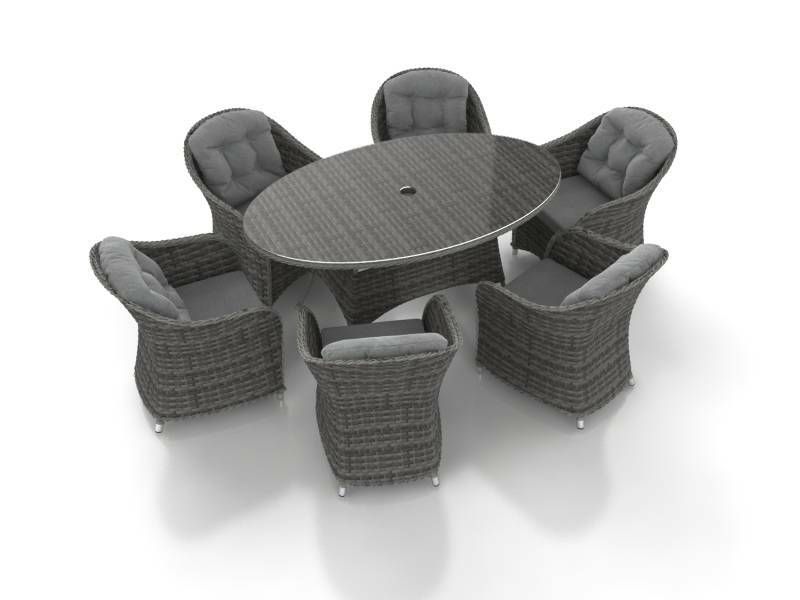 The rattan side tables come with 5mm thick safety glass table tops. 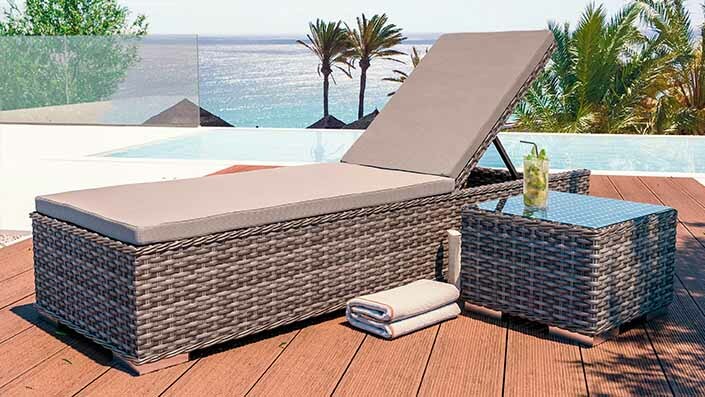 The rattan sun loungers have adjustable back rests so you can sit upright and read a book, or lie flat and take an afternoon nap in the sun. 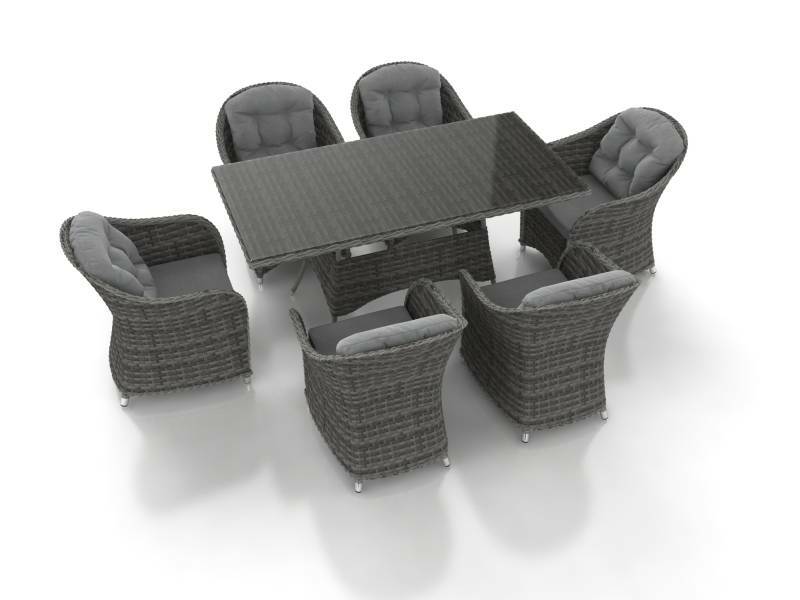 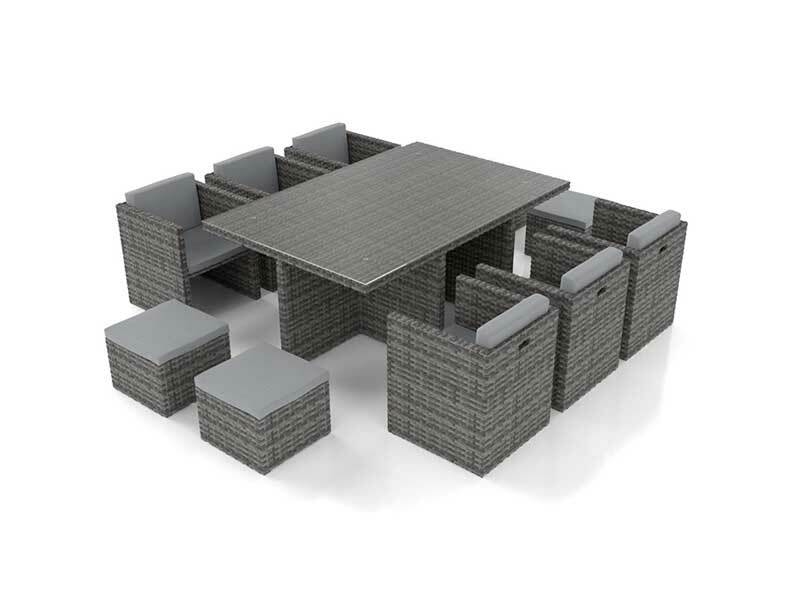 The whole set has a powder-coated aluminium frame, which makes it weather-proof and can be left outside all year round. 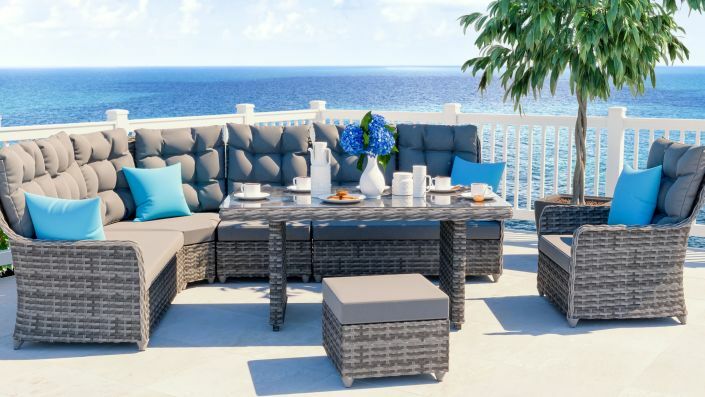 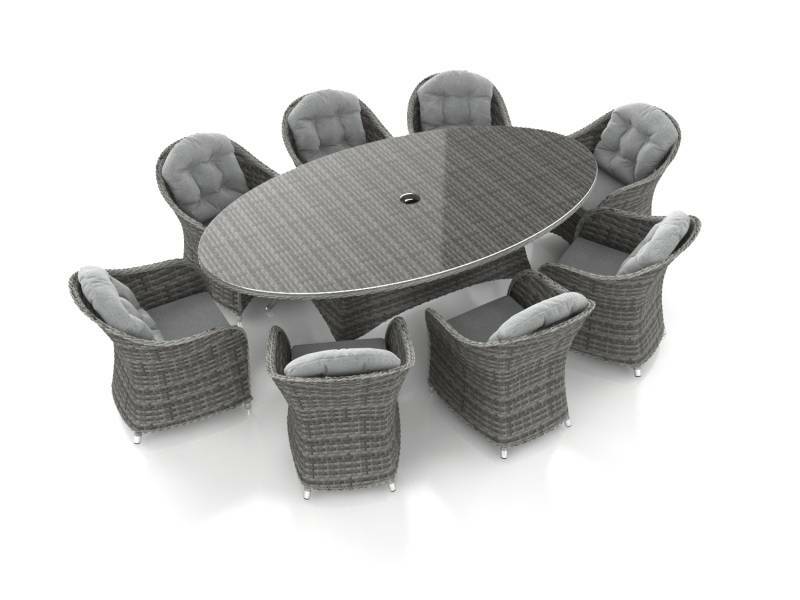 The stylish OCEAN LINE rattan is a mixture of our fully round and flat rattan and is a mixture of light grey and dark grey tones. 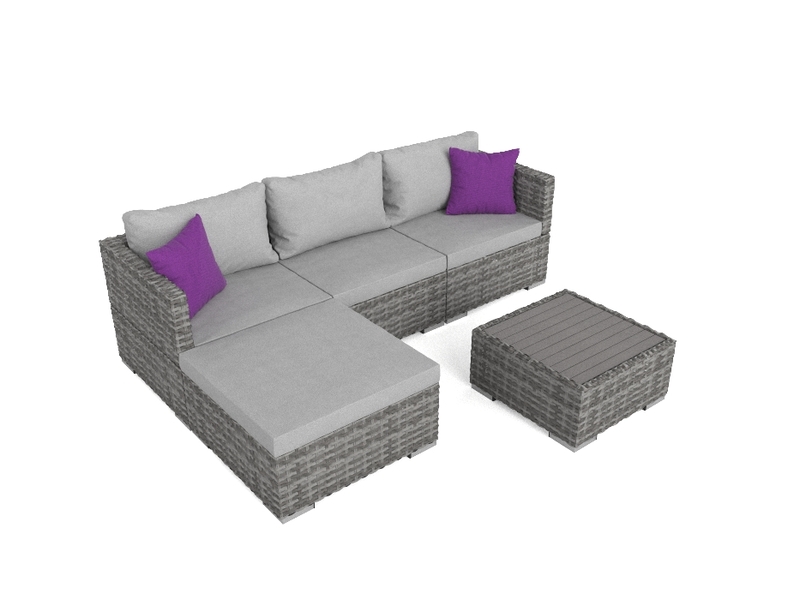 The harmonious lounger cushion cover also comes in the colour grey. 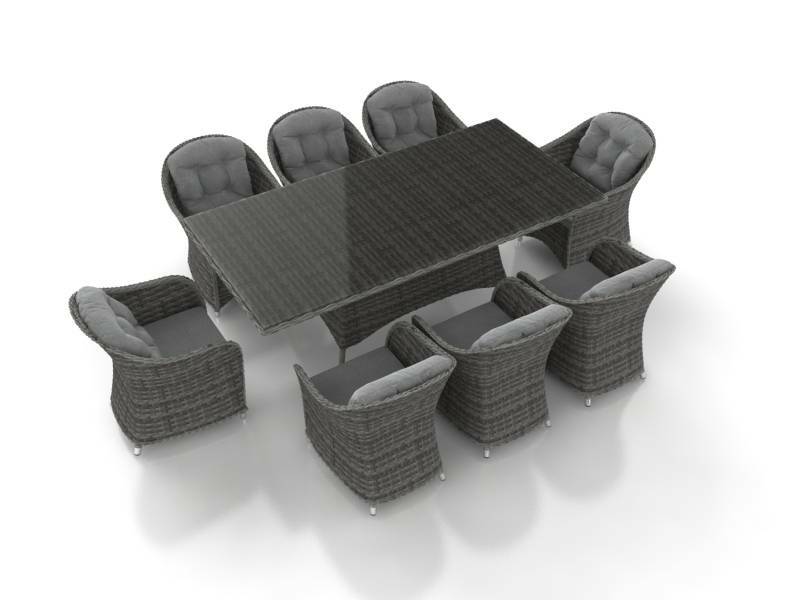 ELY L is stylish, robust, weather-proof and easy to care for. 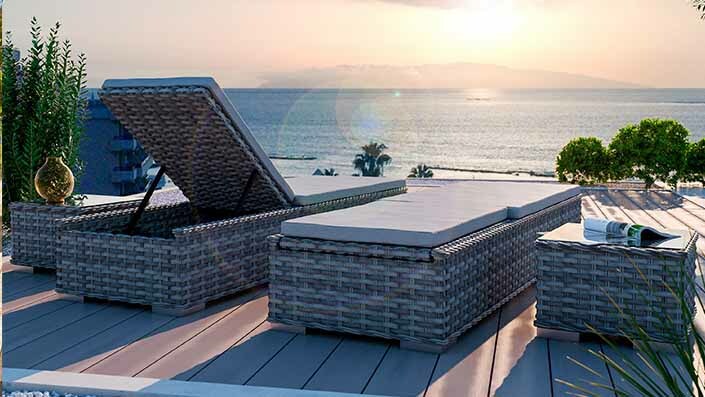 What more could you want!